Emoticons are used in daily life to express the feeling and mood. 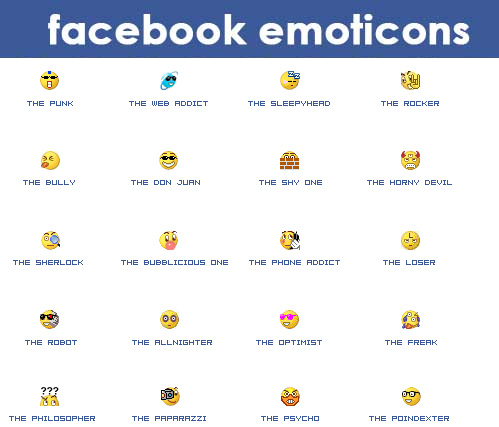 Facebook also provided new animatic emoticons for facebook users. In the below images you will find emoticons codes. Some images just contains big emoticons. You can use these codes to use the same images as some of the emoticons are not available in facebook messenger. These are some random mix emoticons. From the following emoticons you will find some new emoticons.